I'll admit I am new to the whole UFC craze that's been going on the past couple of years but truth be told that's also why MMA is becoming the fastest growing sport in history today. Being new to something like the whole Mixed Martial Arts culture can be intimidating at first, not really knowing what's going on or understanding all the rules at first but, once you get it and understand what's going on then you come to realize what it is about this sport that has captured so many fans as of late. UFC Undisputed 3 this time around is much more welcoming to new comers to the sport for people such as myself. I've enjoyed watching the matches with friends and was always captivated by the atmosphere surrounding it. UFC 3 does a great job in capturing just that. Authentic ring entrances, music, lights and introductions before the fight help immerse you in the feeling your watching the latest fight on Pay Per View. Lets not forget that this year, the now defunct Pride fighting rules have been added as well. The career mode which needed some major attention after 2010's juggling of stat's and ratings in a menu type system has been replaced with mini games instead that you can focus on the areas you want to train in. By winning fights you will gain "Cred" which is Undisputed's currency system, you will be able to unlock new trainers and increase your stats cap. Being able to take your created player to real life fighting academies to train in a certain style of fighting helps the immersion of being a true fighter in the MMA world. Your fighter will start off fighting in the WFA and fight other wannabe's and get to take a shot at the title. If you win, the UFC will take notice and allow you to join the rest of the worlds best MMA fighters. 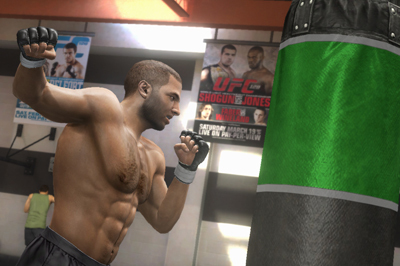 One of the coolest parts though is that just like in real life fighters have "game plans" going into a fight. This allows you to focus on certain plans of attack such as take downs or submission. 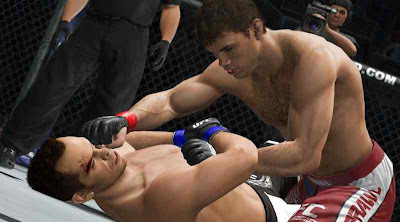 Then afterward you will take part in a sparing match against a training opponent. Being successful means you will come out with an edge over your opponent in the octagon. I really like that this time around they let you choose between an amateur or pro mode controls. Amateur controls rely more on button hits while Pro rely more on using the sticks in certain directions to punch and use specific moves. I couldn't help but feel in the Amateur mode though that I may have been missing out on some of the more advanced moves because of the overly simple control mechanics but it still didn't keep me from having a blast and I will have to dive into this deeper once the game comes out next month to see if it's true or not. The other thing that will be obviously apparent to those who have played previous versions of the games is the new submission system having to do with the new octagon graphic. While it may distract from the realism it does make the submission system a lot easier and you actually will know why you submission did or did not result in a tap out. If you haven't played the demo yet, it is currently available on both XBL and on PSN so be sure to try it out. In my opinion if your fans of previous versions you will be a fan of this future installment as well. Best Buy - 150 in game items to use with your created fighter. 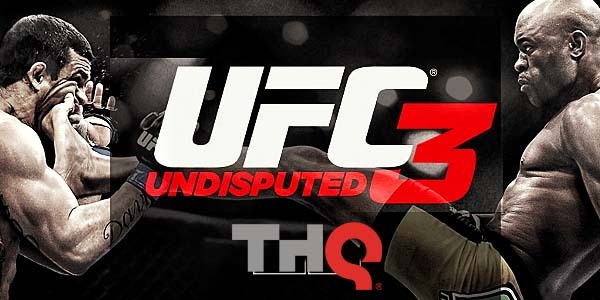 WalMart - includes a $10 credit, and also ensures access to the "Ultimate Fights: Knockout Pack," DLC compatible with the game's Ultimate Fights mode, and five of the "most memorable knockouts in UFC history. Below is a video from UFCundisputed.com that will explain more about the changes this year and what it's like "Inside the Octagon"